Stop. Before you read any further, grab your mobile device and pull up your church’s website. Now find information about your Palm Sunday, Easter and other Holy Week worship services. Is there information about these services on the website? Is the information in a prominent, easy-to-spot location? How long does it take to find the information? How many clicks? How many menu items deep? Is the information appealing and invitational? Does the information reflect the nature of worship at your church? Does it give someone a good idea of what they can expect? Holy Week arrives every year, whether we are prepared for it or not. The church pews fill with regular parishioners, folks we only see once or twice a year, and first-time visitors who felt an urge to find a church during this most sacred time. Our Easter services may overflow, while Maundy Thursday, Good Friday, and Easter Vigil services might be more sparsely attended. As church communicators, it would be easy to fall into the mindset that people will show up regardless of what we post on our website, and that people will generally have an idea of what to expect from an Easter service, and the people who look forward to the Holy Week services already understand what they are about. And yet, as church communicators, even at this busy time of year, especially at this busy time of year, we need to make sure that people easily have the information they need to be full participants in our celebrations. Whether it’s a longtime parishioner who needs to know how to purchase altar flowers online or a first-time visitor who needs to know where to park and whether or not they need to bring a basket for the children's Egg Hunt, there are many reasons people might turn to your website before Holy Week. And while they are on your website, what else might they discover? While this is nothing earth-shattering, remember in every suggestion, there is an opportunity to welcome the stranger. Make information about these services easy to find. An eye-catching graphic with an invitational link should take users to the information they need with one click. Don’t make users search under different menu options, click through calendar days, or scroll down, down, down. Choose graphics and images that are reflective of your church, preferably ones that beautifully show your actual church, community, and worship, rather than using a stock image. If you must use a stock image, think about the nature of your worship. Is it a formal brass ensemble and robed-choir members in a glorious Easter fanfare? Is it a joyful Alleluias, a live donkey on Palm Sunday, and a cross overflowing with flowers and hand-made butterflies? Is it an outdoor Paschal flame? Choose graphics and images accordingly. Is there information that would help first time visitors? Is Sunrise service outside chilly and people should bring blankets? Should children bring an Easter basket for the Egg Hunt? Is there is overflow parking in the lot down the block? Try to anticipate what logistics people will need to know. It goes without saying, but double check that the information is correct as far as service times. Are Palm Sunday and Easter services at different times than your usual Sunday services? Make sure this information is emphasized. If Saturday evening or alternate Sunday services are canceled during Holy Week, make sure this is also clear. Easter brings opportunity to do more than worship. Make sure information about related outreach projects, social events, and altar flower donations is easy to find. Think about how your website can provide an opportunity for formation for both long-time and new parishioners. How many people in your pews truly understand the succession, impact, and majesty of the Triduum liturgies? How can you be more invitational, inviting them to partake in the entirety of the sacred journey, and not just a pick-and-choose whichever service meets their schedules? Take a quick look at the rest of your website. Are there areas that need to be cleaned up? Content that should be updated? While some visitors may decide on the spur of the moment to join you for Easter, others may research your church extensively before visiting. Your website is where they will look! 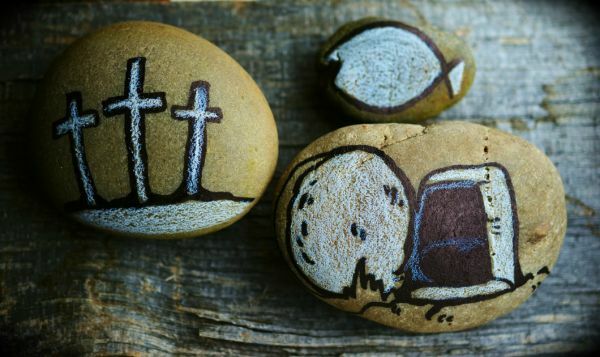 As you approach Holy Week, tell stories of how your congregation is preparing to celebrate the Passion and Resurrection of Christ. Whether it’s a palm procession and live donkey on Palm Sunday, the altar guild decorating the altar, children flowering a cross, the solemnity of a Maundy Thursday foot-washing, take lots of pictures and share them. Create shareable invitational posts for your Holy Week worship and events. You can use that same eye-catching graphics, images and invitational language, and make sure the posts includes a link back to your website page that has all the pertinent Holy Week and Easter information. Invite your parishioners to share these posts on their own accounts. Make sure to remind your parishioners to like your page – this will help you build an audience. Consider a boosted post, defining your audience as people who like your page and their friends. The likelihood of someone visiting your church, at Easter or otherwise, is higher if they discover that they are friends with someone from your church. But you’re not done yet! In addition to making digital preparations in advance of your worship, as a communicator, make sure to capture all of the beauty, solemnity, and joy during worship! Task specific people to be official photographers of the worship services and other special Holy Week events, and you’ll have great content for next year! Remember to designate one or more official photographer for your services. Cell phone cameras can take great pictures and almost everyone has a phone in their pocket. Encourage photographers to capture pictures that represent all the different demographics in your congregation, considering age, ethnicity, gender, family structure, etc. Children and teens can be fantastic photographers, often offering a unique perspective and worldview. Furthermore, by asking them to document their experiences, you invite them to be active participants rather than passive witnesses. 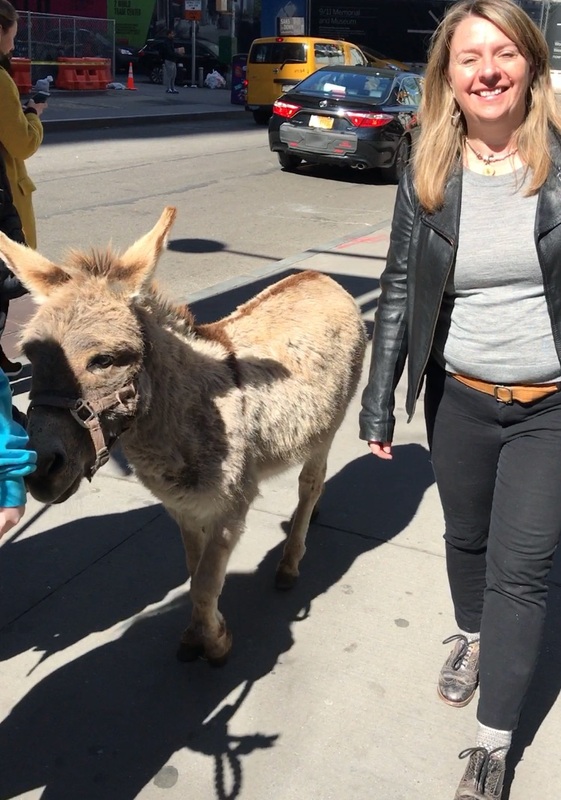 You may end up with 50 shots of the Palm Sunday donkey (ok, maybe that's just me), but the exercise will tell you a lot about what resonates with the younger members of your congregation. Add a crowd release statement to your worship bulletins or post one somewhere in your worship space. Visitors may not have given previous permission to be photographed through registration, membership data collection, etc. Although church is typically considered a public place where expectations of privacy are limited, people do have legal rights as to how, when, and by whom their image is used. Remind photographers of the need to be respectful of people engaged in the sacred act of worship. In advance, suggest unobtrusive spots to stand to take pictures. Remind photographers of moments in the service or related events that you want to be sure to capture and those that they should refrain from photographing. These decisions will depend on your church culture and practice; and it always makes sense to enlist the support and direction of your clergy in advance. Determine in advance a strategy for gathering the photographs that are taken – establish a Dropbox or shared Google folder rather than dealing with individually sent images. If photographers do email or text you their pictures, make sure they send full resolution files rather than compressed thumbnails. Remind photographers that if they are taking pictures for you in an official capacity to share on church social media accounts, that does not necessarily give them permission to share pictures on their own social media accounts. This is of particular concern when photographing children. In addition to empowering a corps of official church photographers, encourage personal picture taking among your parish families. Invite people to share their photos – suggest it in advance of Holy Week services in your email blasts or other parish communications and then publish a brief tip sheet in your bulletins or worship materials during each of the services. On Facebook, remind people to “check in” with your church location AND make sure to set permission for their posts to Public (otherwise you as the location won’t be notified). Likewise, make sure they add their Location on Instagram or Tag your church account. On Instagram, where hashtags are useful, give people a unique hashtag to use on all their posts – for example, at St. Paul’s Episcopal Church in Pittsburgh, we could ask people to use #stpaulspgh. Keep your hashtag as short as you can, and do a search beforehand to make sure it isn’t already being used by another organization. This will help you to find images that people have posted. Consider social media for evangelism – in addition to suggesting a church specific hashtag so YOU can find the pictures, also ask people to post using a general hashtag such as #Easter2019 or the name of your town #Pittsburgh, so that more people might see what Holy Week and Easter are like at your church. Use #Episcopal or #Episcopalian to connect to the broader Episcopal church. By encouraging folks in your congregation to “capture the moment’ during Holy Week, Palm Sunday, and Easter, you not only benefit from gaining lots of new visual material for church print and digital communications, but more importantly, you amplify the voices of your parishioners, inviting them to be a part of the ongoing story of the people of God.